New Delhi: The much-awaited debate on the Liberhan commission report scheduled to be held in the Lok Sabha on Tuesday has been postponed by the government “due to unavailability of its Hindi translation". According to a Congress leader, some members approached Speaker Meira Kumar to provide a copy of the Hindi translation of the 1,029-page report submitted in Parliament last week, “after which parliamentary affairs minister Pawan Kumar Bansal decided to postpone the debate." 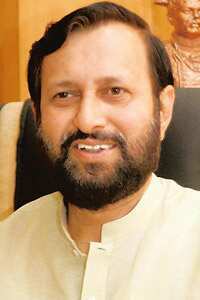 The main opposition Bharatiya Janata Party, or BJP, has expressed regret at the postponement, accusing the Congress-led United Progressive Alliance (UPA) government of “shying away" from the debate, said spokesperson Prakash Javadekar. The debate has been postponed and is likely to be held next week, PTI reported, citing parliamentary officials. The Liberhan commission report submitted to the government in June was not made public by the government until last week when leaked excerpts were published in ‘The Indian Express’. An urgent cabinet meeting in the absence of Prime Minister Manmohan Singh decided to table the report on 24 November under pressure from the Opposition, which stalled the proceedings of the both Houses on the issue on 23 November. Senior BJP leaders including former prime minister Atal Bihari Vajpayee, L.K. Advani and Murli Manohar Joshi figure in the list of 68 people indicted by the commission.